Our optometrist, Dr. Sanford Kaufman, is trained in the most up to date advancements in eye care, committed to providing the highest quality treatment for each of his patients. 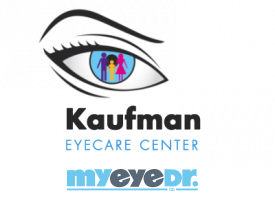 At Kaufman Eyecare Center, he will be your partner in eye care and therefore strives to make each visit comfortable, effective and informative. He takes the time to learn about your eye health history and listen to your concerns in order to provide you with the most thorough and holistic treatment plan possible. Your eye doctor should be someone you trust to have the knowledge, experience and professionalism to treat your eyes with comprehensive, expert eye care. 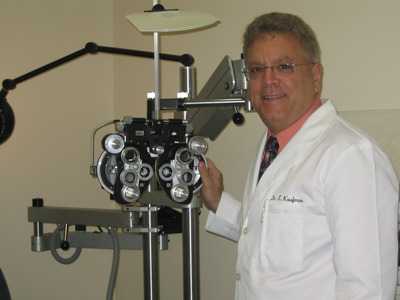 Read on to learn more about our optometrist. 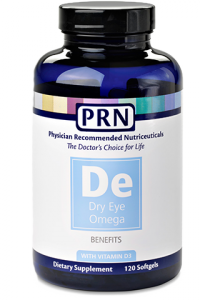 PRN Supplements provide a vitamin formulation derived from the Age Related Eye Disease Study (AREDS) formula • Modified based on a wealth of evidence on B-Complex formulations, forms of Vitamin E, and the removal of beta-carotene. We recommend these supplements to Dry Eye sufferers and those patients with Macular Degeneration. Feel free to ask Dr. Kaufman about PRN on your next visit! © 2016 PRN – Physician Recommended Nutriceuticals. All rights reserved.